We are an independently owned and operated family business. 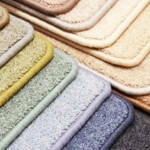 We offer a full range of Carpets, Vinyls and Timber floors as well as Cork, Bamboo and Laminates. We are committed to offering a quality product and professional service. We enjoy building business partnerships with our valued clients.